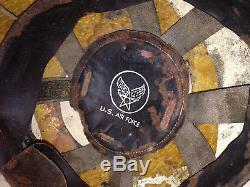 This is a Rare KOREA Era US Air Force. 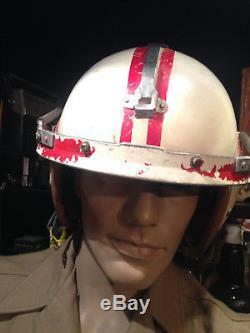 Type p-4B size large Fighter Pilot Helmet. 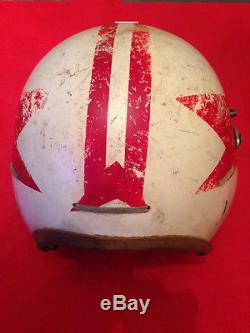 The helmet is without visor. 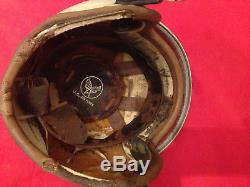 There is not complete without communications gear, head sets and microphone or speakers The helmet is used, please see photo's for condition. PLEASE LOOK AT ALL THE PHOTOS. THEY ARE PART OF THE DESCRIPTION. C reinforcement on the sides of the visor housing. Metallic reinforcement on the sides of. Metallic reinforcement on the sides of the visor housing the visor housing. Metallic reinforcement on the sides of the visor housing. 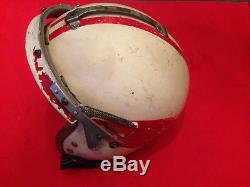 Metallic reinforcement on the sides of the visor hous. 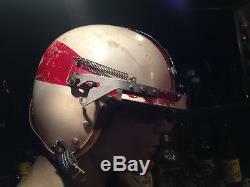 The item "US Air Force USAF Korea Korean War F-86 SABRE PILOT P-1 FLIGHT HELMET" is in sale since Wednesday, December 26, 2018. 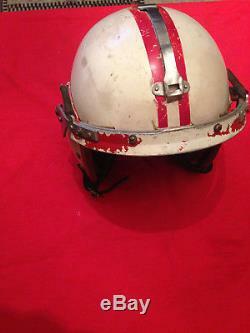 This item is in the category "Collectables\Militaria\Surplus/ Equipment\Helmets/ Hats". 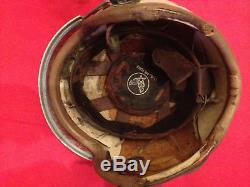 The seller is "sakisham711" and is located in Athens. This item can be shipped worldwide.